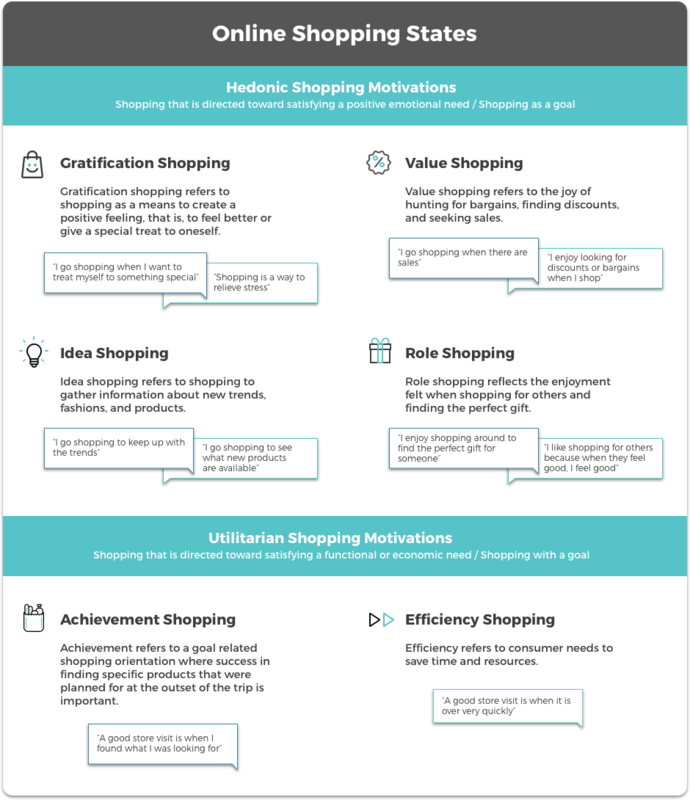 Identify your Hedonic and Utilitarian shoppers and cater to them accordingly. Do you shop the same way when you buy groceries compared to when you shop for a gift for your spouse? How about when you look for a snack or when you’re looking to buy a TV? No? Well, that makes sense. Sometimes you shop on impulse for quick gratification. And sometimes you're on a mission to find that one product you need or simply want to have. The mindset in which you shop varies per situation. So why is it that many marketers approach their online communication with one, flat image of their shoppers? By investing the time in creating a psychographic marketing strategy, you gain a much clearer image of your shoppers by looking towards behavior first. Today, I'm going to dispel the common tendency to put the audience before behavior by introducing the Shopping States Framework. Customer personas are a well-known marketing tool that are used in virtually every mature company. And while using personas has its perks, it also has its pitfalls. They can depict a very detailed view of a person within a target audience by outlining their likes, demographics, and challenges. But, they are largely based on assumptions or a small group of respondents. 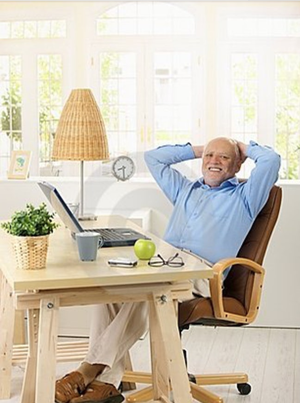 For example, the picture you see here depicts Harold - a bird-loving sixty-two-year-old. This persona image shows you different details about him that can be of importance when advertising. Sure, the profile could be expanded by including psychographics such as his favorite color, favorite free time activities, and other details. But even then, the full picture of Harold wouldn’t be clear. 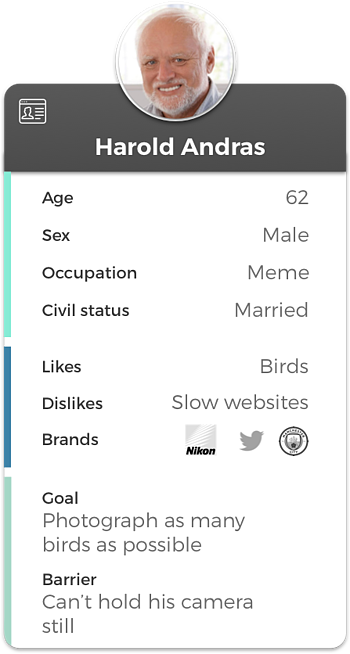 The thing is, even with these extra details, this snapshot of Harold’s profile doesn’t go far enough. As you can imagine, he, like virtually everyone else, isn’t always the same type of shopper. 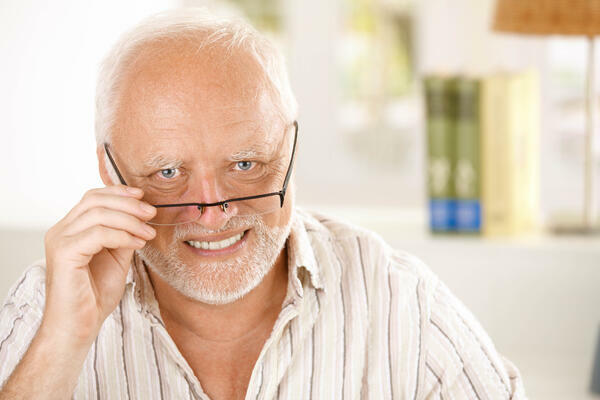 If Harold goes grocery shopping, he has a different budget, mood, time limitation, knowledge on the products he wants, and a different goal than if he goes to the same supermarket to buy snacks or flowers for his wife. At the end of the day, there are countless states in which individuals shop. Psychologists call this the Multiple Shopper Personality Disorder. Just kidding - but it sounds like it could be real, doesn’t it? What’s interesting is that these Shopping States are hardly covered in customer personas and reports. I believe that this is a missed opportunity because they have the power to take your marketing strategy to the next level. They set the foundation for relevant communication that enhances your audience’s shopping experience. Shopping States: Mindsets that customers have when they initiate or go through a shopping experience. Research shows there are multiple shopper states individuals experience. These mindsets can also be found online, as they rely on the underlying motivations of an individual. Shoppers’ motivations can be categorized as hedonic or or utilitarian. What are hedonic and utilitarian shopping? Hedonic Shopping: Shopping that is directed toward satisfying a positive emotional need. Utilitarian Shopping: Shopping that is directed toward satisfying a functional or economic need. In 1982, Hirschman and Holbrook stated that hedonic consumption motivation suggests that purchases are inspired by the desire for pleasure, joy, and fun that is acquired by the possession and use of products. Meaning the primary goal of hedonic shopping is to satisfy a pleasure appetite. In contrast, utilitarian consumption is task-oriented and inspired by consumers’ efforts to solve problems as well as address needs and wants through a more rational approach of assessing products. Basically, it’s the difference between shopping as a goal (Hedonic) and shopping with a goal (Utilitarian). The need for a purchase (Hedonic) or the need for a product (Utilitarian). These motivations can be partly identified by finding out what product someone is looking for, which industry they’re shopping in, and who they are shopping for. Online this could mean looking at how long they look at a product lister or product detail page, the way they are sorting the products, or how many tabs they open. These are all small variables that can add to our image of the shopper. To put this theoretical mumbo-jumbo into practice, let’s turn back to Harold. He is browsing his favorite online hobby-store offering cameras and other accessories. He feels like a kid in a candy store and enjoys every minute he spends there. This is an example of someone who is doing hedonic shopping. The person is enjoying the shopping and is doing it purely for their own enjoyment. Let’s assume he eventually buys a very expensive, beautiful camera. He treated himself. The next day his camera arrives and he goes outside to look for some birds to photograph. All of a sudden, he remembers he forgot to buy a tripod to keep his camera stable while taking photos! To make sure he can still photograph birds with his grandson this weekend, he needs to order the tripod today within the next hour to have it delivered tomorrow, Friday. 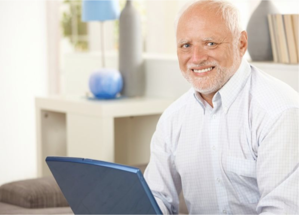 The second time Harold browses the shop, he is a different type of shopper. He’s in a hurry, slightly agitated, and not shopping for fun anymore. He is shopping because he needs this item to be able to fully enjoy his hedonic product. Harold turned into a utilitarian shopper, someone who shops with a clear goal and does not care much for the shopping itself. As you can probably imagine, both types of shoppers need a completely different approach when trying to sell them something. They prefer a different experience, different brands, and often have a different budget. These two types of shoppers can exist simultaneously in any person. The state that takes over depends on different factors like the product they’re looking for, the amount of time they have to complete the purchase, who they’re buying the product for, the budget they have, and many other things. To take that even further, you can also experience a combination of shopping states at the same time. Some shopping states have overlap and are often experienced at the same time. Research has already found combinations of these shopping states and combined them into new ones. However, for this post, I will restrict myself to the foundation of the Shopping States Framework. So what are these different types of shoppers people can adopt? Well, with findings from Arnolds & Reynolds (2003), Babin et al. (1994) and Kim (2006), we were able to come up with a classification system for both utilitarian and hedonic shopping states in an online context. These states, which can be tracked with behavioral data, can help shed light on how the shoppers on your web store respond to different situations. We took a look at it for the online environment and made our own slightly different classification. The main difference is that we’ve left out two shopping states that were mentioned in research, adventure shopping and social shopping. The reason for this is because social shopping is hard to identify in an online environment and other research suggests that adventure shopping is hardly any different from gratification shopping. So to avoid redundant or confusing descriptions, I left them out. 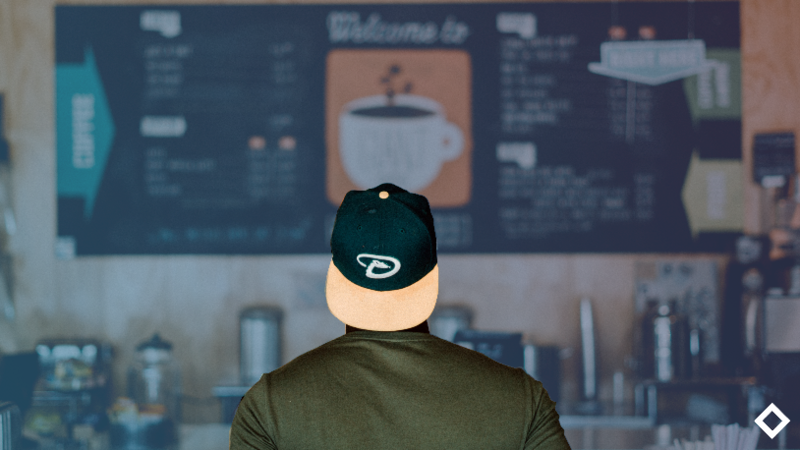 With the definitions out of the way, let’s discuss why these insights are a key component of your psychographic customer intelligence. Knowing who your target users are and what they like is nice. But, knowing how they behave and feel while they are on your web store is awesome. Because, ultimately, actions speak louder than words. By identifying what your user is doing on your web store and why they are there, you can deliver relevant and timely messages that ease shoppers’ psychological strain and streamline their customer journey. The end result is a tailored approach that guarantees relevancy. 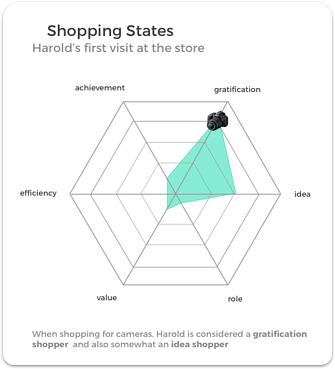 Going back to the previous persona example of Harold, with the help of shopping states, we create a dynamic customer persona. 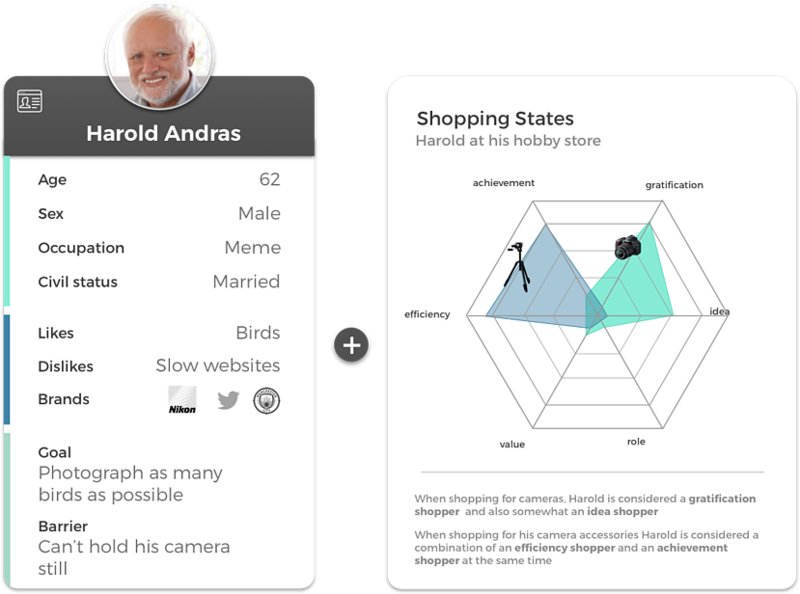 The extra information of the identified shopping states gives a new dimension to Harold’s psychographic profile that was previously unknown. These states can be recognized in an online environment with the help of behavioral data. By analyzing psychological and marketing research about what type of behavior people have when they are in a certain state, we can predict and act upon one’s online shopping state. 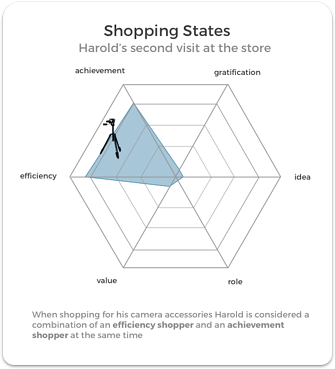 Based on Harold’s behavior on the website the first time he shopped - the filters and sorting used, products viewed, and time to purchase - we can classify him as a gratification (thus, hedonic) shopper. Knowing this, it’s best to use a promotion that encourages self-indulgence and his need for uniqueness. No need to show a social proof “bestseller” message to him at this time, rather a “unique,” “limited edition,” or even “brand new” message would work better. People who are browsing on a hedonic shopping trip are active explorers in searching for and experiencing diverse products, which is stimulated by variety-seeking and innovativeness. In his second quest, which can be identified as efficiency and achievement shopping, it’s best to approach him with social proof appeals. As this will quickly show him the way by acting as an indicator of quality and trust. So by showing him a promotion that states “bestseller” or “photographer’s favorite,” he is aided in his decision making by letting heuristics take over to get the job done quickly. Right now, psychographic segmentation is limited to static, and often generalized, likes and interests of target audiences. But as more companies move from this approach to dynamic segmentation, as opposed to solely geographic and demographic, shopping states can be the silver bullet. Needless to say, applying shopping states should be the next frontier for improving your marketing and UX efforts. These will change flat customer personas into dynamic individuals that you can cater to and will help you gain these psychographic insights. In traditional brick and mortar stores, your sales personnel would need to study these insights and try to apply them with consistency. Now, this information can be fed to machine learning algorithms, which can efficiently serve every shopper according to their demographic, geographic, and psychographic properties. Higher ROI and being more relevant to users is something we could all get used to - right? Here at Crobox, we’re learning how we can identify shopping states on the web stores of our clients. Psychographic segmentation is already in our arsenal of customer intelligence that we're generating. But by using the behavioral triggers I briefly covered, we're developing a framework that can automatically identify the shopping states of our target audiences. This way, we can make sure that our clients’ communication is as relevant as possible for people like Harold in all their states of shopping. This, combined with our expertise in serving the right psychological principle at the optimal time, creates a digital space that revolves around the digital identity of a shopper. Shopping states should be the next frontier when it comes to online marketing. This dynamic approach of targeting your customers and advertising to them is a very interesting opportunity to increase ROI and relevancy. Customer personas don’t show the full picture and are usually just a flat image of a target audience. Shopping states are a way to have a more dynamic view of your audience. Shopping states are the mindsets people have when they go shopping and are based on people’s behavior and goals.